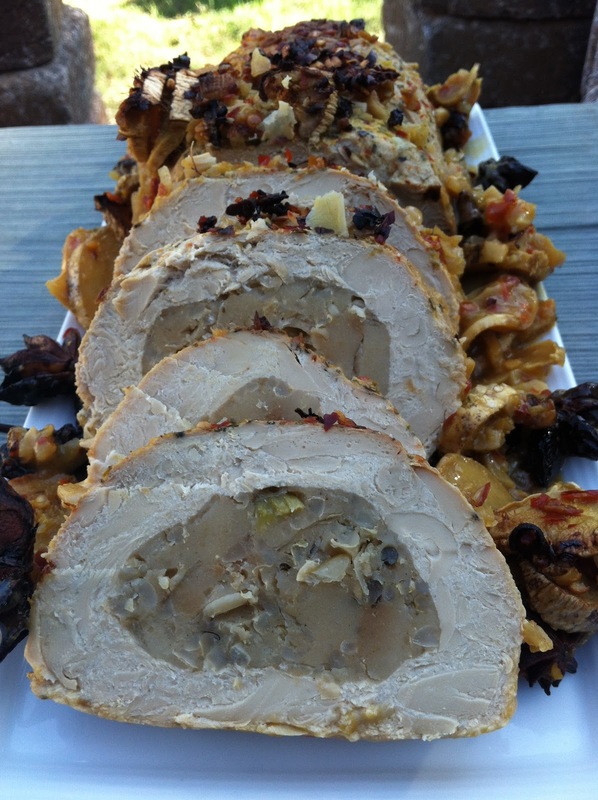 The Bad Kitty Bakery: Orange Asian Vegan Roast Marinade RECIPE and new blog schedule! Orange Asian Vegan Roast Marinade RECIPE and new blog schedule! On top of all that I have been working on some special holiday recipes. The first is here, a marinade for all those vegan ‘roasts’ out there. Trader Joes has a Turkey-less Turkey, and then there is the infamous Tofurky, and Field Roast has one as well. Hopefully, by this time next year, we will all be shopping at Vegco here in the valley, but until then, you can still have your roast shipped through veganessentials.com or just run to the store. Whole Foods, Sprouts, and Trader Joes all have vegan options for you! But once you have that little football shaped lump of seitan, what do you do with it? If you feel like something a little out of the norm, here is the roast for you. Thaw your roast, use this to marinade overnight, then bake the next day! Tuesday: Tips and Tricks! Basically, this is a place to share what is going on, what new things are working in my life and kitchen, and whatever else is going on. Thursday: Reviews! What new foods or books are out there, or even cleaning products? A place to talk about fun vegan things. Saturday: Recipes! Isn’t this why you keep coming back? So without further ado, here is the recipe!! In the glass pan, combine all ingredients. Add the thawed Tofurky or Field roast and cover. In the morning, cook the Tofurky for 2 hours in the liquid on 400 degrees.